After the first round of municipal council elections there was a large discussion who has won and how the results should be treated. We heard the traditional party funeral melodies, though counting the joint result of the election committees is as logical as counting the joint parties result, not to mention the origin of many of the most popular committees. 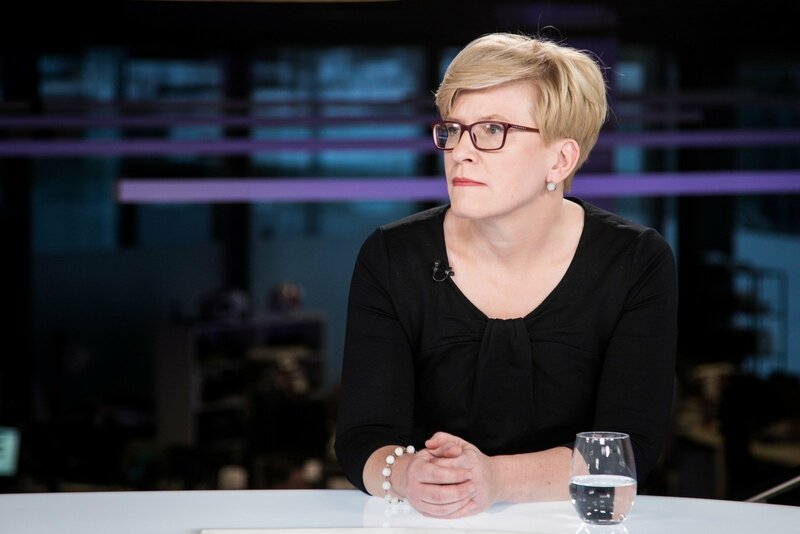 The democratic deficit in a local self-government has also been widely commented, seeing that long-standing mayors have strengthened their positions not only because of the work done, but also because of the available administrative resources, which are likely to be a barrier for any change in the municipality, a press release from Ingrida Šimonytė‘s press office reads. I am a strong supporter of party democracy. I don't think somebody has yet found a better way to represent citizens of different beliefs and interests, rather than through traditional parties, that have more or less defined values and clear views, even those do not differ that much one from the other. In addition, I strongly believe in civil society, people initiatives and if a community can focus on a specific question, it can achieve a great result. I am sure, we lack common operation skills and the belief it can bring results. At this point of view, all initiatives should be welcome. However, general committization in Lithuania in fact shows a completely different view than the strength of civil society. Very few of the committees participating in the municipal elections could be evaluated as social, raised from the beginning to suggest specific, important to its members questions to be added to the municipal political agenda. Most of them are "attached" to the personality, and not the subject. Personalities who are no longer, or not yet on the way with existing parties. Such committees are no different to a "one-person parties", but are privileged while participating in elections: requirements for activity, financing and reporting. Obviously, we have to change this, to make the requirements unified and to admit that if anything looks like a duck, swims like a duck and quacks like a duck, it's most likely a duck. Public committees have to be a tool for the public to act, and not a "non-party party" without restrictions and requirements applicable to parties. Of course, parties are responsible that some politically active people are looking for alternative ways to meet their political ambitions. Lack of motivation, career opportunities, closeness, promotion of "stars" to the polls, who have nothing in common with politics, can discourage long-term supporters of party democracy. Not sure whether this should be considered at the level of law, as is the case in some other western democracies, but at least at the level of the statutes, serious parties should define things such as the general election of management, the initial election of the various candidates, and find other ways to make feel their party communities the decision-makers, not just their listeners. Raising youth, focusing on political talents should be a daily routine, and only then could we not be surprised that in most parties we do not have people aged forty, since they, once arrived in politics, became simply not interested in it. Another obstacle for people to participate in political campaigns more actively is the limitations of their financial support. 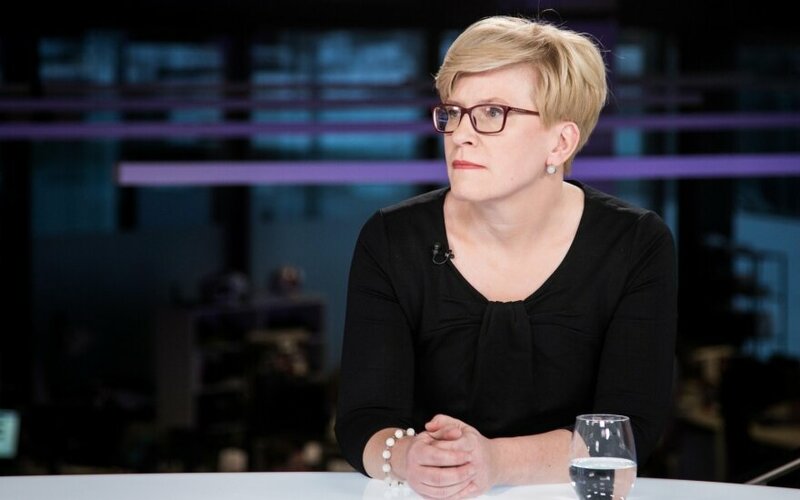 It is clear that while both parties and election campaigns could be supported by legal entities, no one paid attention to the conditions that ordinary Lithuanian voters, non-party members can contribute with. The previous procedure was relevant only in case of incredible manipulations, when low-income people were willing to "participate" in politics financially. Since then the screws were tightened, when parties and campaigns from aside could be only supported by individuals, can already become a serious problem - even an additional donated cent to more than twelve euros obliges to declare not only income, which would be quite acceptable, but also property, the declaration of which is a peculiarity of Lithuania. By investing tremendous amounts of money into the ability of the State Tax Inspectorate to reach almost real-time control of the adequacy of human income and expenditure, we could facilitate people to participate and financially support their favourite party or candidate. It is said, put your money where your mouth is and it's crucial to make reasonable conditions for doing so, to get people more involved in political processes. The second round of mayor elections took place this Sunday. An entire one-third of the mayors were elected in the first round, quite often – long-time heads of the municipality. The changes in the procedures of the mayors' election raises the question of: can the mayor be equated to the "president" of the municipality? Obviously, long-term mayors have a strategic competitive advantage over the other candidates, and it increases over each tenure. An unlimited number of terms does not force to take care on the political shift, natural change. I would dare to say, this further weakens the political parties, especially in the regions, since it reduces the incentive for new local political leaders to grow, who could later enrich national politics. And to conclude, about cheap government. The ban on legal entities financing parties sought to limit the impact of business on politicians, but it is obvious that the goal was achieved only partially. On the one hand, having very limited financial resources, the parties have spent the most for public relations and advertising, instead of investing in meaningful content creation. On the other hand, the possibility for legal entities to participate in politics remains through other means – various non-profit organizations directly or indirectly controlled by the same persons, through which the activities giving an advantage in political processes (concerts, performances, health examinations, etc.) are financed. It is time to draw attention to this both ways: the level of the law and the strengthening of the institution, on which depends the conditions of transparent, fair and equal political competition - the Central Electoral Commission (VRK). We must understand that cheap government costs us a great deal and seek to invest in democracy to bring maximum benefits.